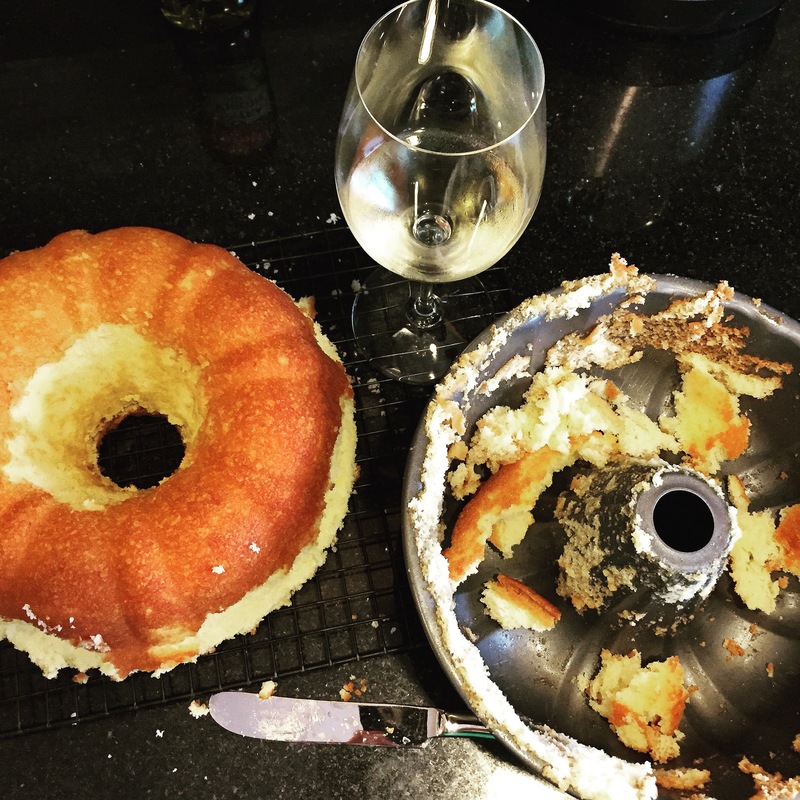 I know I have a few other Pound Cake recipes on this blog and I actually wasn’t going to post this one. But then it came out of the pan so perfect I HAD to share it! Oh, and there’s a fun ingredient in the glaze 😉 Also, this isn’t a true pound cake. 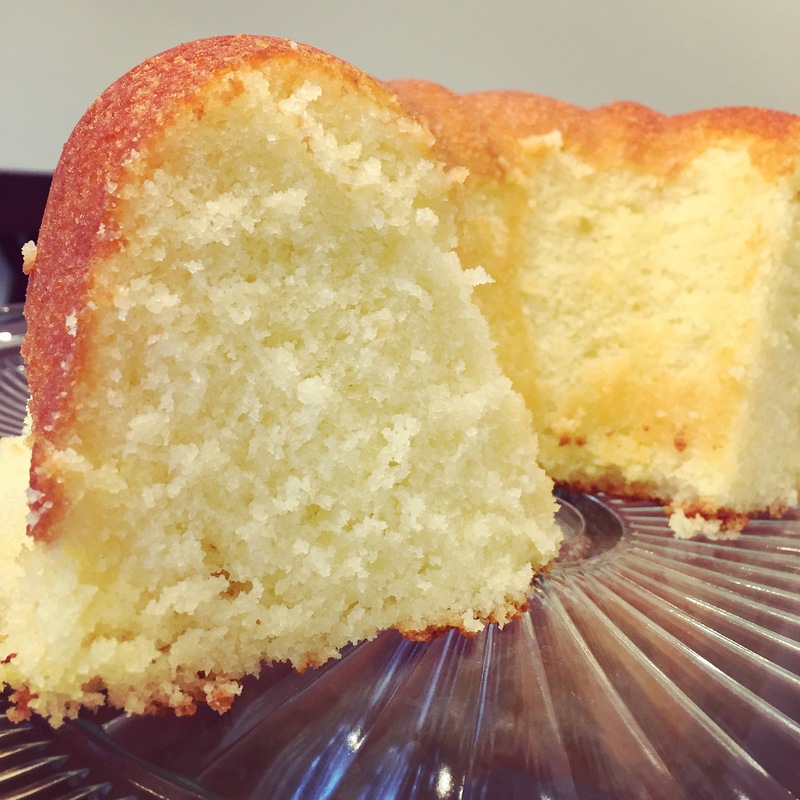 Pound cake usually has a pound of every ingredient, but this one is about half. I am not feeding an army so this one is perfect. It will last about 2 days in my house. Preheat oven to 300 degrees fahrenheit. Beat butter until smooth and creamy. Beat in sugar until smooth and light in color. Add in eggs, one at a time, beating well after each addition. Alternate beating in the flour and milk until combined. Beat in vanilla. Pour batter into prepared pan and bake for 1 hour and 20 minutes. Allow to cool a few minutes before inverting. To make the glaze stir together the ingredients and pour over the warm cake. Cool completely before cutting and serving. Enjoy! Yum! Yum! Yum! Ate way too much in my tum tum tum! 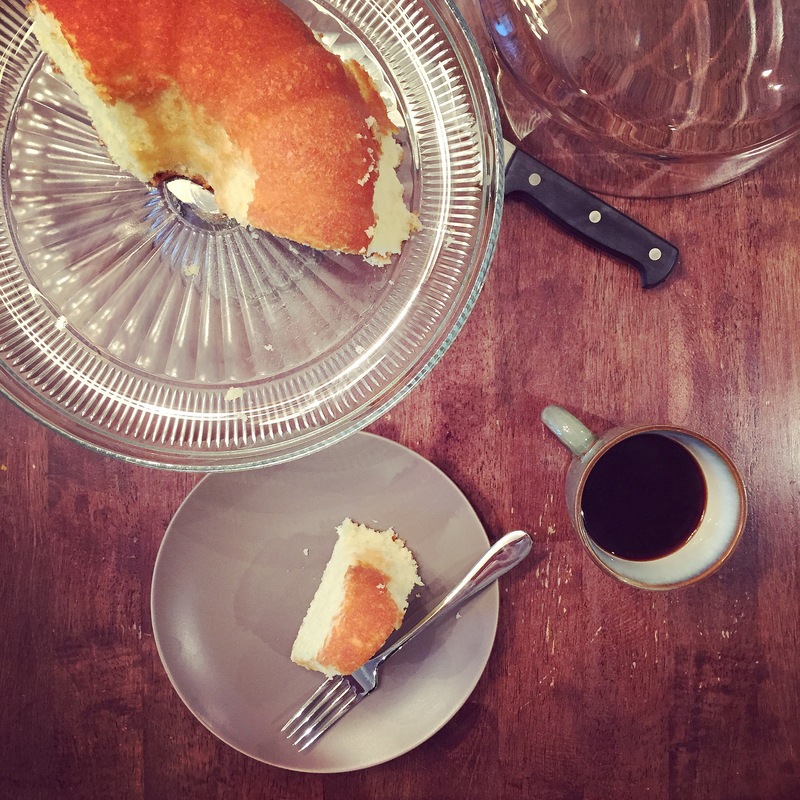 This butter cake is so simple to make and it is so delish! Very similar to a pound cake but not as dry or dense. 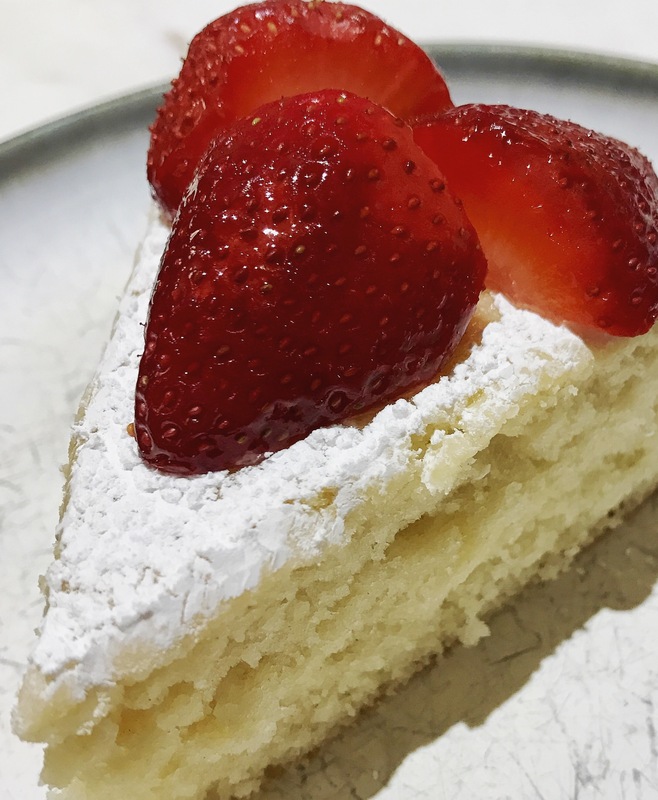 I had to use up some strawberries and had these ingredients on hand so here I am, sharing this gorgeous cake recipe with you. It’s perfect for the first day of spring! Top it with powdered sugar and fresh fruit and you are good to go! Have a slice for breakfast even, with a cup of coffee and you are ready to tackle the day. Preheat oven to 350 degrees fahrenheit. In a bowl, whisk together the flour, baking powder and salt. Set aside. In another large bowl, beat butter and sugar until smooth. Add in eggs, one at a time, beating well after each addition. Beat in vanilla. Slowly beat in flour mixture, alternating with the milk until everything is combined. Pour into prepared pan and bake for about 25 minutes or until a toothpick inserted in the middle comes out clean. Allow to cool on a wire rack for at least 15 minutes before inverting to cool completely. Dust with powdered sugar and serve with fresh fruit. Enjoy! Note: The recipe above has WAY too much sugar. I used about 2 1/2 cups of sugar but if I ever make this again, I will only use 2. Preheat oven to 350 degrees fahrenheit. In a large bowl, whisk together flour, baking powder and salt. Set aside. In another large bowl (or bowl of your electric mixer), beat butter, sugar and oil until nice and creamy. Add eggs, one at a time beating well after each addition. Slowly add in flour mixture, alternating with the milk. Beat in lemon zest and juice. Pour batter into prepared pan and bake for 50-60 minutes. Let rest at least 30 minutes before turning out of pan. Yeah, we had some issues, but it was ok! I saved it. Slice and enjoy with some tea or coffee! I’m bored. When I’m bored, I bake. 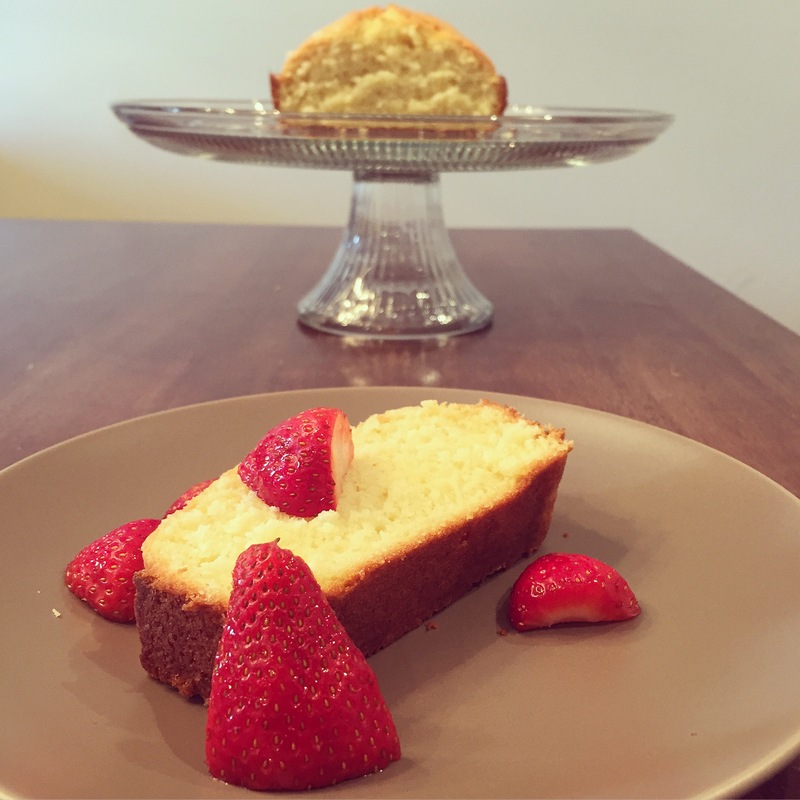 Pound cake is easy and delicious and we had fresh strawberries so…. Done deal. 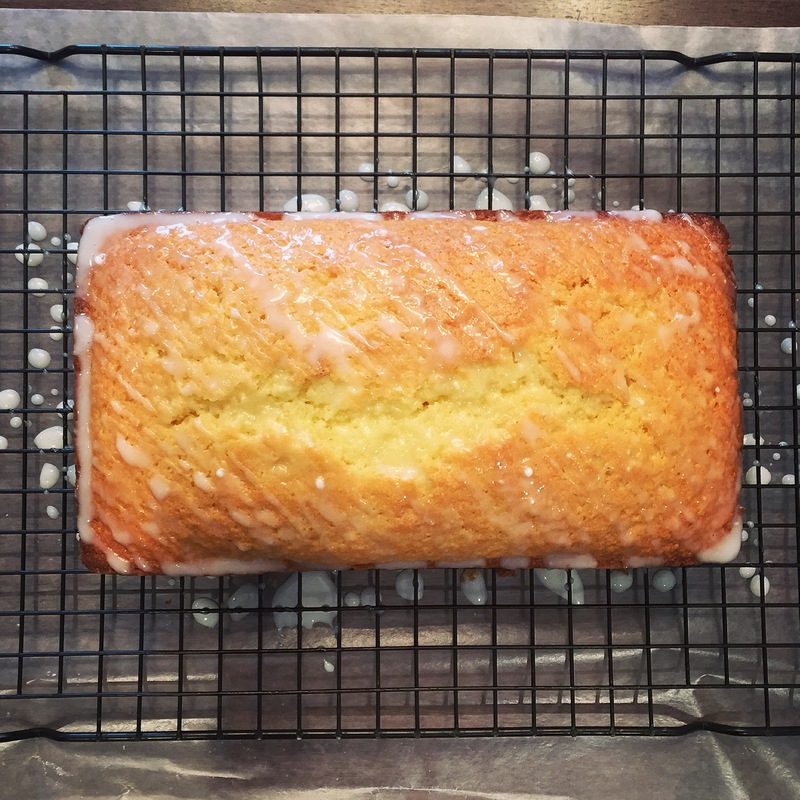 This recipe is for an old fashioned pound cake. No added or crazy ingredients. Butter is the MVP. Do I need to say anything else? Go start your ovens. Preheat oven to 350 degrees Fahrenheit. In a bowl, whisk together flour, baking powder and salt. Set aside. In a large bowl (or bowl of your electric mixer), beat butter and sugar until creamy. Add milk and vanilla and beat until incorporated. Add eggs, one at a time and beat well after each addition. Add in flour mixture until combined. Pour batter into prepared pan and smooth the top. Bake for 50-55 minutes. Let cool on wire rack before inverting. Slice and serve with fresh berries and/or whipped cream! Enjoy! Yum. Lemons. I love you. I Needed this cake in my life right now. It’s sweet, can be eaten for breakfast, and is just so (for lack of a better word) delicious! 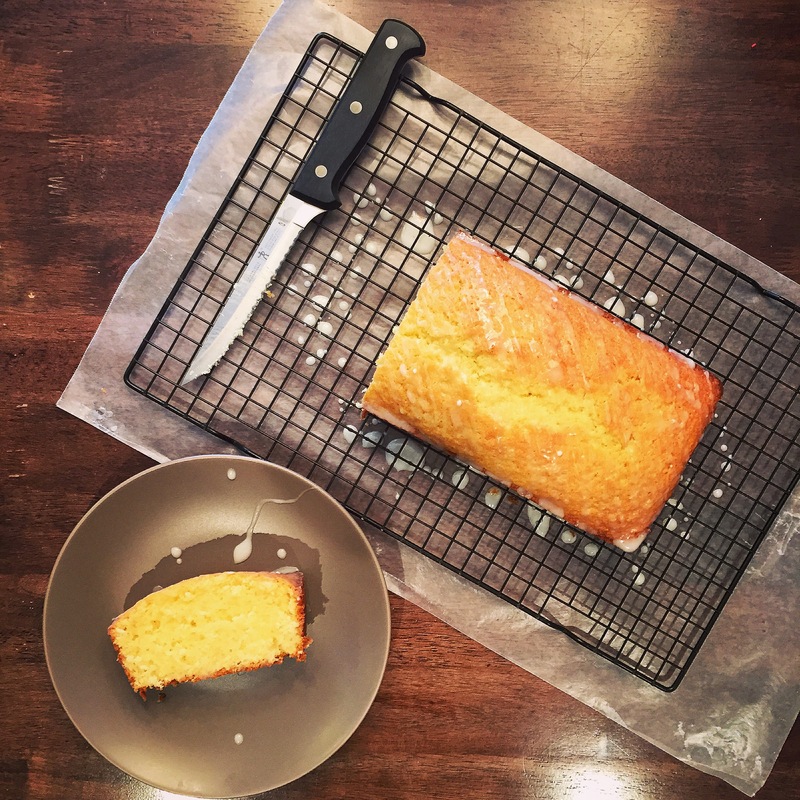 Easy to make and eat, this pound cake is the perfect treat! I have nothing else to say so…. let’s bake! Preheat oven to 350 degrees fahrenheit. In a large bowl, whisk together flour, baking powder, baking soda, and salt. In a medium bowl, beat together eggs, sugar, butter, both extracts, and lemon juice until well blended. Pour into the dry ingredients and blend until smooth. Add oil and lemon zest and mix until combined. Pour batter into prepared loaf pan and bake for 45-50 minutes. Allow to cool on wire rack before inverting to cool completely. In a bowl, whisk all ingredients until smooth. Pour over cooled cake. Slice and enjoy!